ISLAMABAD: The Capital Development Authority (CDA) has issued final notices to 84 high rises apartment complexes in E-11 sector after having a meeting with owners and investors where they were told to ensure that their buildings are regularised according to CDA bylaws within a month including outlay plans, safety and security measures, parking, access to buildings, Pakistan Today has learnt. The E-11, a relatively new sector of the capital, has accommodated and absorbed many restaurants, boutiques, media houses and other outlets after CDA served them eviction notices for their involvement in carrying of commercial activities in the residential areas. Since 2014, the CDA has repeatedly taken action against the non-conforming use of residential premises that was underway since long. Last year in September, the Supreme Court ordered the authorities at CDA to take indiscriminate action against encroachments and commercial activities in Islamabad. In January, the court had ordered to regularise all high rise buildings and farmhouses all over the capital. The E-11 is also home to many private housing societies like the National Police Foundation, Multi-Professional Cooperative Housing Society, Federal Employees Cooperative Housing Society and the Services Societies. Furthermore, around a dozen marquees also appeared on the borders of the sector that is all set to take due and undue advantage of not being under the watch of CDA’s by-laws as the laws that regulate the building control in sectors of CDA don’t apply as stringently as in the E-11. 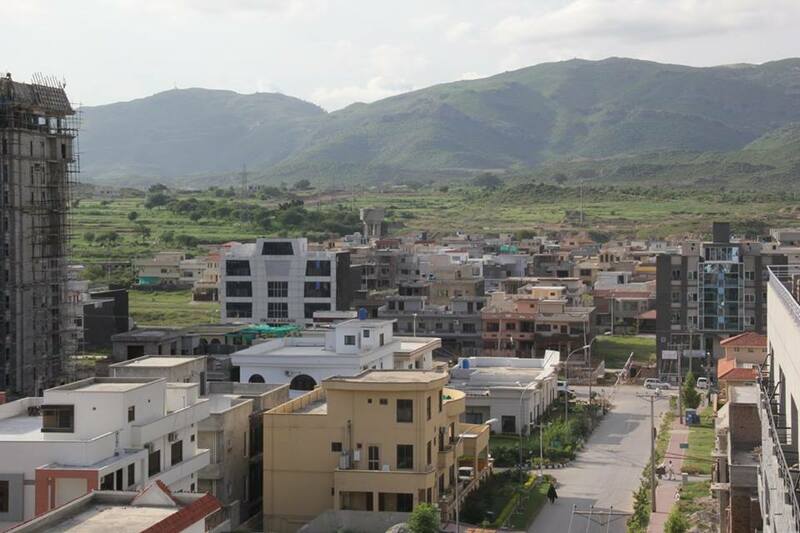 The sector is rife with examples of non-conforming use and illegal construction as even the former CADD minister admitted once that both his ministry and CDA have no role as to regulation of building structures in the vicinity due to its close proximity with Golra Sharif. It seems that E-11 is all set to become the next G-12, another sector where CDA has no authority for the past many decades. The city managers have decided to implement plans to resolve the perennial issue of the illegal constructions that inundates the entire city, especially in the housing societies. It is pertinent to mention here that previously CDA had decided to amend its Zoning Control Policy of 2007 for many sectors including E-11 after thorough deliberation. However, the board while showing a willingness to regularise apartment complexes has approved layout plans of the Khudadad Heights, Capital Residencia, and Meridian Heights. It is noted that these apartment buildings are already built, functional and occupied.